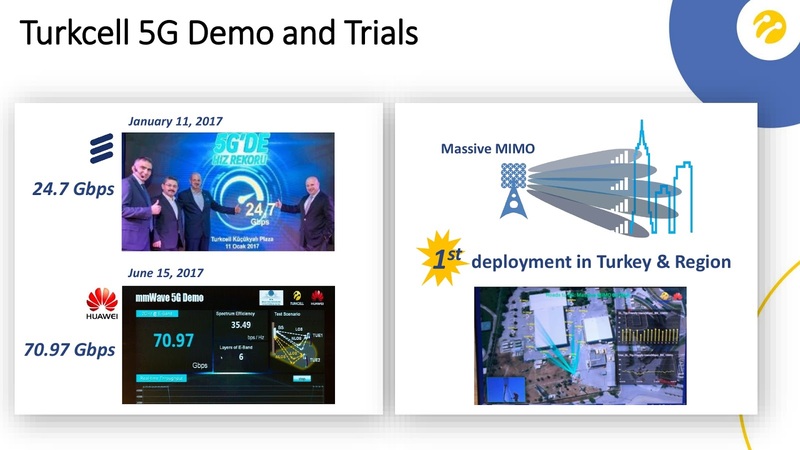 I came across couple of presentations from Turkcell recently, one from ITU by İzzet Sağlam, 5G R&D Engineer and the other by Gulay Yardim, Head of Radio Network and 5G R&D at Istanbul 5G briefing. There was a lot of commonality in the slides. Here is summary of Turkcell in 5 slides. 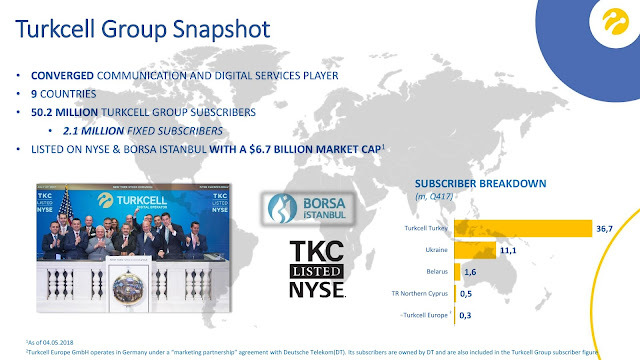 Turkcell Group is present in 9 countries and has 50.2 million subscribers, including 2.1 million fixed subscribers. Its largest presence is in Turkey, followed by Ukraine & Belarus. 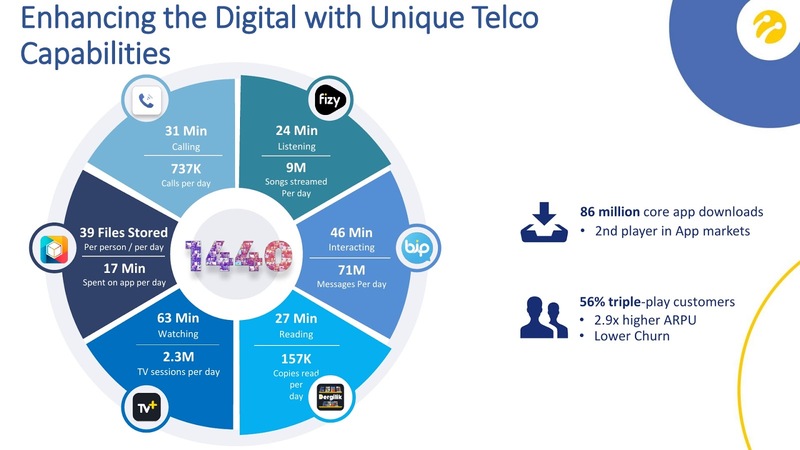 Turkcell has its own apps which has been downloaded 86 million times. Based on the figures available, the apps have gained popularity in the last year. Turkcell has been a leader in testing 5G, working with both Ericsson & Huawei. 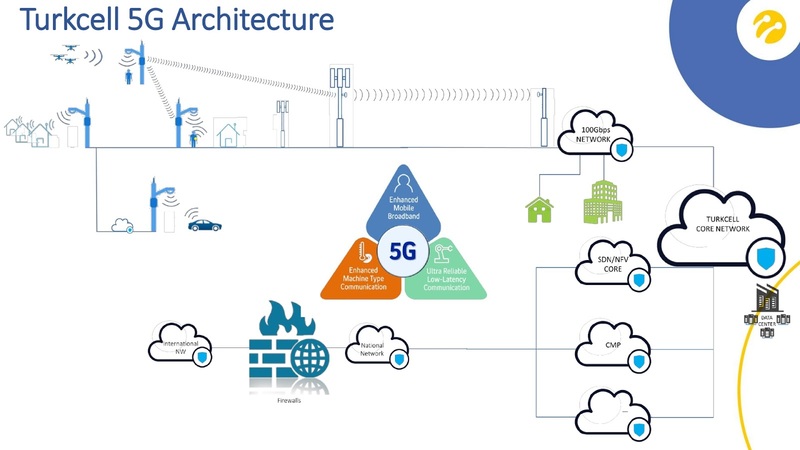 Turkcell 5G R&D team has been focusing on SON, AI, Network Slicing, MEC, Physical Layer, Connected Car, Healthcare, etc. Along with being active in standard bodies, its been active in NGMN as well. Finally, Turkcell thinks that 5G FWA will be a great opportunity as its already present in this area. 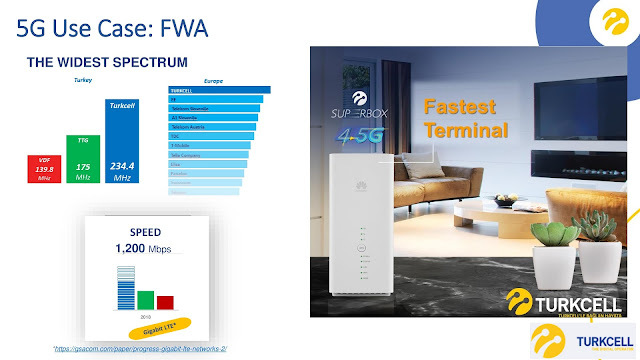 Its 4.5G Superbox has packages from 50GB to 200GB data allowance. 4.5G also offers impressive speeds to most users. One interesting fact worth highlighting is that Turkcell is probably the only mobile operator with 50% women employed in its workforce and 42% of women in the leadership positions. Hence it is very common to see woman speakers from Turkcell in many conferences and events.